Many of our long-term shelter cats have found a warm place to snuggle up to for keeps thanks to big-hearted folk who adopted during our Share the Warmth adult cat adoption campaign at our North Melbourne and Campaspe shelters. A terrific total of 98 cats and 31 kittens now have homes to call their own, with some having waited for their purrrfect match since March this year. Cat Shelter Manager Karina Bailey said there were purrs, smooches and happy, kneading paws as adoption staff assisted with uniting kindred human and feline spirits. “We have such an array of characters – from the expert chillaxers who will make terrific lap warmers, through to the up-and-go cats who just want to be a part of the action— we have them all! Ms Bailey said families brought their children to meet their potential new fur-friend, while a high portion of adopters were young professionals. “We found many adopters were in their 20s, who chose adoption as their first option and liked the low-maintenance companionship offered by a cat to come home to after work, and relax with on weekends. 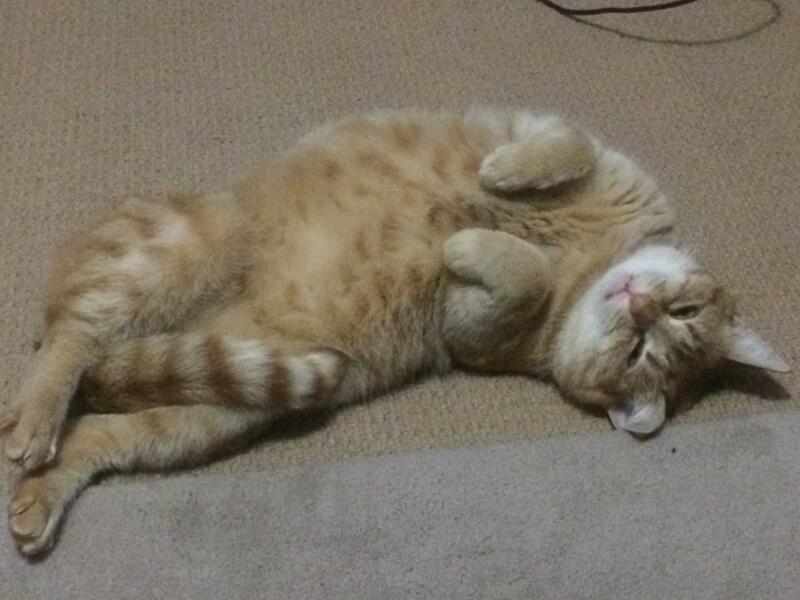 Exercising plenty of patience since April this year was gentle ginger moggie Tiddles from our Campaspe shelter. The four-year-old was adopted on the first day of the adoption drive by new cat fans – Minda and her family. “Thank you to The Lost Dogs’ Home for helping us find an important member of our little family,” she said. For Lesley and her family – including handsome 11-year-old cat Toby— adopting two-year-old Logan two weeks ago has brought plenty of joy for everyone. “We sadly lost Toby’s sister Fran last November to skin cancer. He has missed her dearly and is now very happy with his new friend!” she said. Like Minda and Lesley, you too can find your purrrfect companion at The Lost Dogs’ Home. All adoption candidates come with a full health check, are desexed, vaccinated, wormed and microchipped.– care worth in excess of $300, and therefore well above their adoption fee. Those requiring extra veterinary care like dental, or orthopaedic work are treated prior to going up for adoption at no extra cost to their new family. If you are not ready to adopt, join hundreds of animal lovers and make your Pledge to Adopt.